Learning how to navigate the new employment landscape – where virtually all of us are freelancers, constantly hustling for work – may at first seem scary and overwhelming, but there is good news . . .
I’m Dr. Chaz Austin, Ed.D. 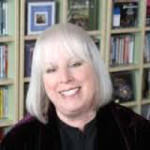 I’ve served for over a decade as a college professor, career counselor, author, and private coach. I can train you how to find work – and keep finding it. Whether you’re just starting your career, or have spent decades in the workforce and are looking for what’s next, I can help. Thank you for impacting my life in such a profound way, Dr. Chaz. I learned who I really am and who I will be. You really understand how a student’s brain works. It prompted me to take action in my life. I look at everything in a different light now. This class has opened a new doorway for me to discover. This class really lit a fire beneath me . . . like sitting in on a Tony Robbins seminar twice a week. 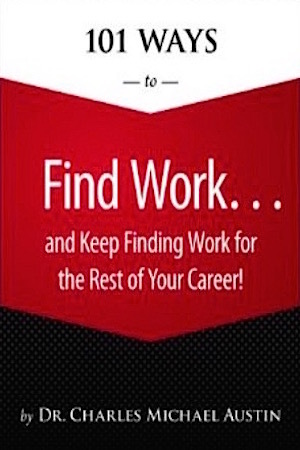 101 Ways to Find Work … and Keep Finding Work for the Rest of Your Career! Using proven strategies, I will guide you in navigating this new landscape of work. I offer a user-friendly roadmap for an easier, more successful transition into the working world of the 21st Century. I just watched your course “Creating a Career Plan” on Lynda and wanted to say thank you for the insights and leads you shared. I am sure it will help me attaining my career goals. I just completed your course on Lynda. Inspirational! Thanks for the clear path and direction. I am a 4th year undergraduate student at UCLA. I am writing this message as a message of appreciation. I just finished watching your “Creating a Career Plan” path on Lynda.com, specifically the ‘Turning Your Passion into a Career’ and ‘Creating Actionable Career Goals’ paths. As an aspiring College/Career Counselor, currently applying to graduate school, I found your videos extremely straight forward, practical and beneficial! I will be sharing your videos with my network because I think ALL college students need to see your videos urgently! Thank you for your work. I really appreciate it. Dr. Chaz thank you very much for your course, “Creating a Career Plan.” It’s been really helpful for my professional life. I will take your other courses. 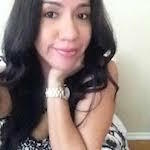 I am a associate broker and all your advices were incredibly useful. I just finished watching your course about career planning on Lynda.com and it was fantastic. I have just watched your teaching video through LYNDA.COM. Thank you so much for your sharing. I am now watching your video on Lynda.com about “Creating a Career Plan.” Very deep and shocking truth being shared. Thank you!!! 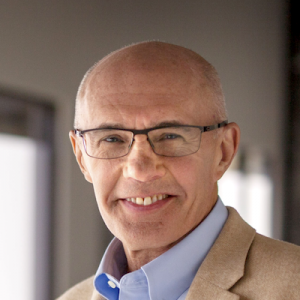 I just completed your career planning course on Lynda and wanted to thank you. I really enjoyed and learned from that course. I watched your series regarding finding work, interview preparation and business strategy on Lynda.com. I found it informative and enlightening. I have an interview tomorrow. I was nervous, but now I feel better prepared. Thank You. My name is Ginna, I’m from Colombia and currently I’m living in Cappadocia – Turkey. Congratulations for the amazing course “Creating a Career Plan” in Lynda. I saw it and I loved it! It helped me in so many ways so I just can focus on making my plan! Thank you for taking the time to read my fan mail. I recently finished your Lynda.com series on “Creating a Career Plan.” I made a career change not too long ago and I had no idea how to begin my new career. I especially resonated with your explanation that having a passion might not make a living, but that there are careers that can use some of our passions, and, better yet, allow us to develop new passions. I appreciate the information. 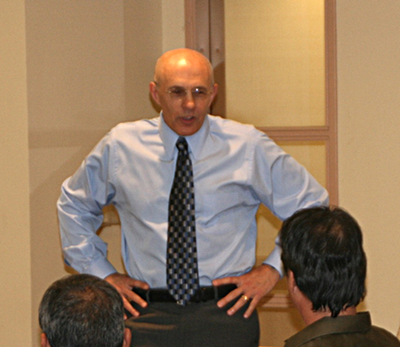 Your presentation was concise and simply presented for all job seekers and clients. 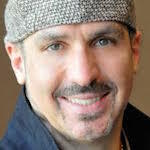 Dr. Chaz, you look positively energized, sincere, authentic and I would enjoy taking your class myself. And will make recommendations to my student graduates and network. I just completed the course from Lynda.com, “Creating a Career Plan.” So helpful. Thank you so much. I really enjoyed watching your course on Lynda.com. A very insightful and well made lecture. Watched your career management tutorial. Thoroughly learned. Loved the way you presented. Want to see more lessons on different topics from you. This tutorial has really encouraged me to want to get started on how to build my career. I agree that the business world today is a freelance environment, and I know plenty of people going this route. I will continue to check this out because I have been stressed out what I am going to do outside of college. The advice I have been given so far is stay up to date with the social media, my resume and my own work. Thank you for the link, and I look forward to the rest of the course. I watched your course last weekend and have been raving about it since! It nailed a lot of the trends that I have been seeing in the workplace but haven’t been able to articulate. Not only did you explain why things are happening, you gave specific steps on what to do about it. Thanks so much for the course and I hope Lynda invites you back for more! I have helped countless people learn how to define, articulate, and sell their individual “brands,” because everyone is a brand and being adept at self-marketing is a required skill in the workplace of the 21st Century. But GETTING the job is only the beginning. You need to learn how to KEEP it. Here’s a new course I created . . .
Finding a job is hard, but it’s only half the battle. What you do after you’ve received your offer letter is what determines if you’ll succeed. I will help you create a great first impression, with actionable tips for taking on a new role and/or joining a new company. Success starts with a good foundation, a great plan, and an attitude of humility—no matter your level of expertise. You will learn techniques to integrate with your team, communicate and collaborate effectively, and find mentors at your company. This course will also help you cultivate an energetic and focused attitude that will position you for future success. Here are some more testimonials . . . I have just now watched your video and I am so happy I did. You presented tons of useful tips in such a lovely and pleasant way that when the course ended, I had to check if the video had stopped only to realise the course had ended. Thanks so much for an enjoyable and so useful advice. I watched one of your videos on Lynda by the way, definitely going into this new job with beginner’s mind. I’ve enjoyed your “Succeeding in a New Job” class on lynda and wanted to thank you for sharing your experience. I’m 3 months into a new job and found your “Succeeding in a New Job” Lynda.com course very valuable. But what if you have to leave your job? Is it time to move on from your company or current position? And here is what people have said about it . . . Thank you for a great course on lynda. I took the one for job transition, but am also planning to take the one on managing/developing your own career. Thank you very much for your course “Transitioning Out of Your Job” on lynda.com. Your course comes at a great time when I wanted someone to tell me how to ‘behave’ while leaving my current job. Though serving the notice period (3 months) was never an issue, presenting myself while breaking the news surely was. I feel a lot relieved now and will be taking the necessary steps for the smooth transition. Thanks a ton! I just completed your course “Transitioning Out of Your Job” on Lynda and found it very helpful. Click for my Linkedin profile. There are two kinds of bosses: the kind you want to kill, and the kind you’d kill for. Leadership (vision) and management (execution) are not about theory – they’re about how to deal with and empower your most important asset – your people. Hire great people. In addition to the hard skills someone needs in order to do the job, you’re looking for the things that cannot be taught: intelligence, good critical thinking skills, a willingness to learn, being personable – and someone you can get along with. These essential character qualities – combined with their knowledge and experience – will make them win with you, your team, and your customers. Get your team involved in hiring new people. Don’t play “boss” by forcing your choice on others. Your employees will have to live with this new person. If they didn’t have any say in bringing them on board, you’ll be injecting a virus into your environment. Viruses get rejected by the host. Dr. Austin is an excellent administrator and manager. He knows how to structure a staff: his hires are top-notch people. He knows how to inspire, advise and motivate staff to do their best. He’s imaginative, yet focused, and always has an ear available for support and advice. He developed a cohesiveness, direction and joy in our department. As a guest speaker and panelist in several of my classes, Chaz delivered practical life/business information in a very upbeat/encouraging style. He supercharged the audience and inspired them to take action toward living a more prosperous life. Dr. Chaz is a motivator. He takes charge of situations with diplomacy and determination. His upbeat energy is very much appreciated, and coupled with his intellect and intuition, creates a supportive and positive learning environment. Dr. Chaz is an exceptional team leader who pushes you to strive for the absolute best! His willingness to share ideas, collaborate on projects, and structure a team is thoughtful and innovative. He is charismatic, warm, and truly looks out for his team.intellect and intuition, creates a supportive and positive learning environment. What: LEAD WITH STYLE, MOTIVATE, COMMUNICATE, MANAGE CONFLICT, and NEGOTIATE. 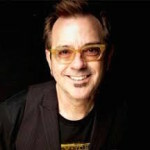 Who: DR. CHAZ AUSTIN is the author of How To Find Work For The Rest Of Your Life And Keep On Working. 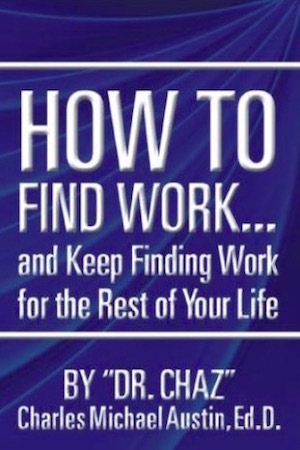 Video by KEITH ROB: I give a big shout out to Dr.Chaz Austin for his GREAT book 101 Ways To Find Work…And Keep Finding Work. He’s an awesome teacher, btw! It’s a blessing to have him as a teacher at Musicians Institute. WITI Webinar: This webinar covers self-marketing – how to determine, articulate and sell your brand. Dr. Chaz: On Finding Work. Ken Borgers Radio TV course. Long Beach City College Dec. 1, 2014. An innovative approach to defining, articulating and selling your own brand, including practices you can use to find work for the rest of your life. This episode of Angela Copeland’s popular Career Success Podcast explores the new career landscape with the help of a special guest. Dr. Chaz Austin explains his approach to the online career-caster. Dear Dr. Chaz: I need your help! Copyright © 2019 DR. CHAZ AUSTIN. Powered by WordPress. Theme: Spacious by ThemeGrill.